Your recorded webinar is ready! 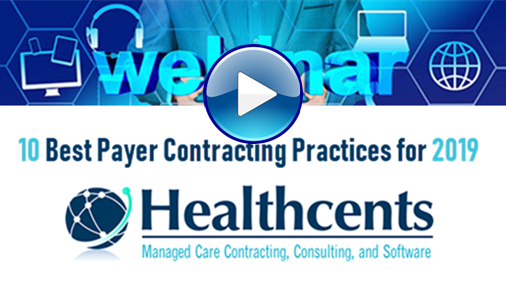 We had a fantastic turnout last week to our “10 Best Payer Contracting Practices for 2019″ webinar. Healthcents CEO and Co-Owner, Steve Selbst, provided tips on how to break into closed networks, techniques on obtaining new and profitable payer contracts, and discussed proven strategies to increase your reimbursements. For a limited time, you will be able to review the webinar in its entirety. This 1.5 hour webinar will provide you with the tools and information you need in 2019 to have the upper hand when negotiating and renegotiating complicated payer contracts. **For providers and companies only, no consultants please.